Is Manitowoc Foodservice Inc (MFS) A Good Stock To Buy Right Now? The successful funds run by legendary investors such as Dan Loeb and David Tepper make hundreds of millions of dollars for themselves and their investors by spending enormous resources doing research on small cap stocks that big investment banks don’t follow. Because of their pay structures, they have strong incentive to do the research necessary to beat the market. That’s why we pay close attention to what they think in small cap stocks. In this article, we take a closer look at Manitowoc Foodservice Inc(NYSE:MFS) from the perspective of those successful funds. Is Manitowoc Foodservice Inc(NYSE:MFS) a buy here? Hedge funds are surely turning bullish. The number of long hedge fund positions that are disclosed in regulatory 13F filings went up by 1 lately. There were 19 hedge funds in our database with MFS positions at the end of June. The level and the change in hedge fund popularity aren’t the only variables you need to analyze to decipher hedge funds’ perspectives. A stock may witness a boost in popularity but it may still be less popular than similarly priced stocks. 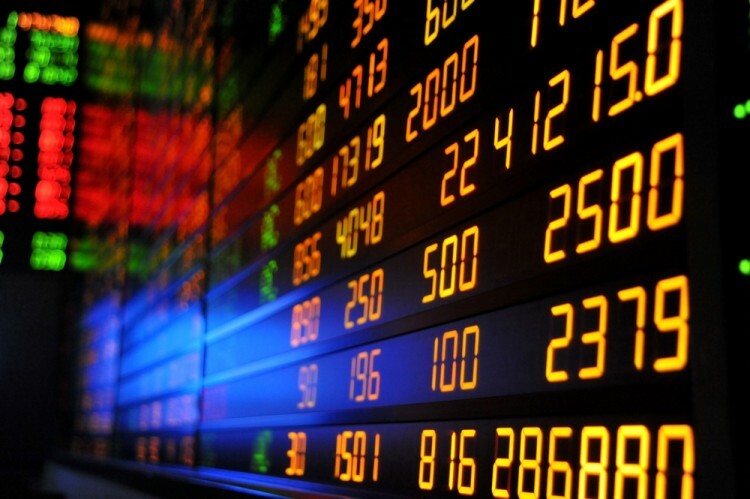 That’s why at the end of this article we will examine companies such as Darling International Inc. (NYSE:DAR), J&J Snack Foods Corp. (NASDAQ:JJSF), and Boyd Gaming Corporation (NYSE:BYD) to gather more data points. Follow Welbilt Inc.Follow Welbilt Inc.
With all of this in mind, we’re going to take a gander at the new action encompassing Manitowoc Foodservice Inc(NYSE:MFS). What does the smart money think about Manitowoc Foodservice Inc(NYSE:MFS)? At the end of the third quarter, a total of 20 of the hedge funds tracked by Insider Monkey were long this stock, a change of 5% from the previous quarter. 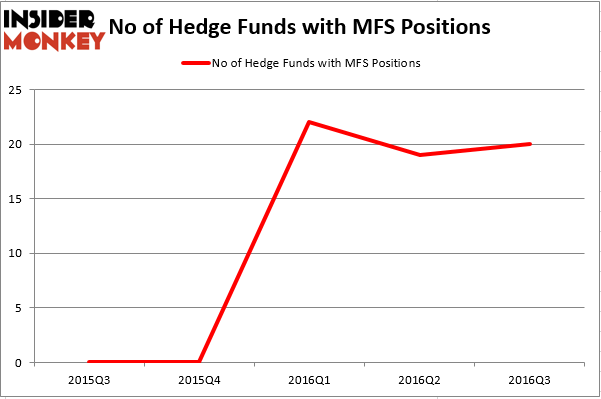 On the other hand, there were a total of 22 hedge funds with a bullish position in MFS at the beginning of April. With hedgies’ positions undergoing their usual ebb and flow, there exists a select group of notable hedge fund managers who were boosting their stakes meaningfully (or already accumulated large positions). According to Insider Monkey’s hedge fund database, Michael Lowenstein’s Kensico Capital has the biggest position in Manitowoc Foodservice Inc(NYSE:MFS), worth close to $215.7 million, accounting for 4% of its total 13F portfolio. The second largest stake is held by Abrams Capital Management, led by David Abrams, which holds a $182.6 million position; 9.1% of its 13F portfolio is allocated to the company. Remaining members of the smart money that are bullish comprise Carl Icahn’s Icahn Capital LP, Alan Fournier’s Pennant Capital Management and Michael Doheny’s Freshford Capital Management. We should note that none of these hedge funds are among our list of the 100 best performing hedge funds which is based on the performance of their 13F long positions in non-microcap stocks. Should You Avoid Nationstar Mortgage Holdings Inc (NSM)? Is Liberty Sirius XM Group (LSXMK) A Good Stock To Buy? Hedge Funds Don’t Think Very Highly of Annaly Capital Management, Inc... Hedge Funds Are Still Buying Novanta Inc (USA) (NOVT) Is Nordic American Tanker Ltd (NAT) A Good Stock to Buy? Is Northstar Realty Europe Corp (NRE) Going to Burn These Hedge Funds?